Üsküdar Çevresi: Quotation: Princeton University A World History of The World, "What was the Cuban Missile Crisis?" In the 1950’s, Cuba had just undergone a major revolution, and with Fidel Castro’s rise to power in 1959, the United States became wary of his radical regime and soon instituted a trade embargo in 1960 (which still stands today). Castro, seeking a powerful ally, aligned Cuba with the Soviet Union and socialism. With this alliance, the USSR now had an outpost right on the United States’ doorstep, with Cuba being only 90 miles offshore from Florida. 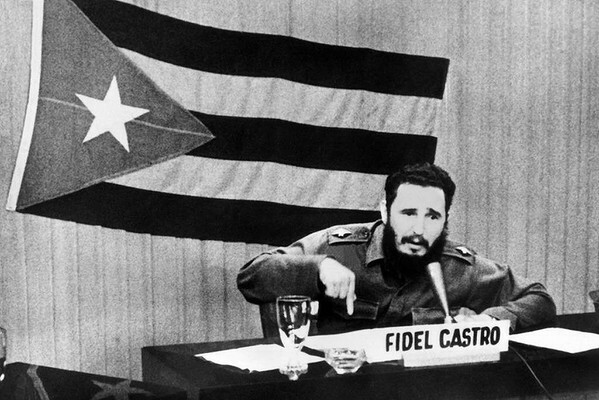 An initial attempt to overthrow Castro’s regime occurred in 1961 with the failed Bay of Pigs invasion. Though the US invasion was unsuccessful, it prompted Castro to request additional defenses from the USSR in the event of another US invasion. The USSR agreed, eager to install nuclear weapons in its socialist outpost in the Western hemisphere, since the US had secretly installed nuclear weapons in Turkey. 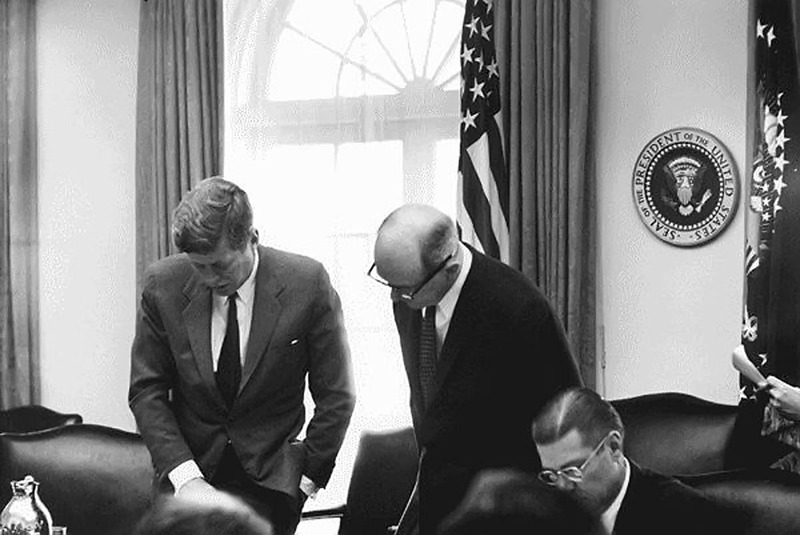 On Oct. 14, 1962, a US spy plane detected the presence of the weapons and informed President John F. Kennedy. Kennedy issued a military blockade of Cuba to prevent any further weapons from being delivered. The world held its breath as a confrontation loomed between the US and the Soviets. The USSR’s Nikita Khrushchev asserted that the US blockade constituted an act of aggression. When Soviet ships attempted to break the blockade, US Navy ships began to fire warning shots. Conflict seemed inevitable. The whole world held their breath, bracing for a cataclysmic nuclear war. On Oct. 28, 1962, an agreement was reached by the US and the USSR to back down. Both sides agreed to dismantle their nuclear weapons in Turkey and Cuba, respectively, and the US had to promise to never invade Cuba again. The world breathed a collective sigh of relief, for the threat was over – for now. With US-Soviet relations already tense, the Cuban Missile Crisis brought these tensions to a boiling point. It seemed inevitable that armed conflict would break out, turning the so-called Cold War into a hot one. The only thing that gave pause to the idea of all-out war was the concept of mutually assured destruction (MAD) – if the Soviets fired their missiles at the US, the US would retaliate by firing their missiles (stationed in Turkey) at the USSR, and both sides would be guaranteed immeasurable losses. Mutually assured destruction was clearly an unfavorable outcome of the situation, and the Cuban Missile Crisis sent a precedent in some respects for future conflicts between nations with nuclear weapons. The Cuban Missile Crisis’s resolution provided a framework for handling future conflicts of this nature – a militant country must seriously consider the possibility of MAD when debating whether to launch nukes – and encouraged better communication between nations to avoid any rash decisions. In an alternate world, the Cuban Missile Crisis may have escalated into a potential World War 3 had cooler heads not prevailed. What are the implications for the US and USSR? The US and the USSR were the world’s preeminent superpowers during the period known as the cold war. An event like the Cuban Missile Crisis was therefore very important on the world stage. Both countries were in possession of ICBMs (Intercontinental Ballistic Missiles) and any significant attack would surely result in the loss of many lives across the globe. In JFK’s Address to the Nation on October, 22, 1962 he said, “Nuclear Weapons are so destructive and ballistic missiles are so swift that any substantially increased possibility of their use or any sudden change in their deployment may well be regarded as a definite threat to peace”. Warfare in this new age of technology was no longer a face-to-face affair. Instead, threats could be thousands of miles away. The fact that Cuba was a mere 90 miles from the southeastern United States, then, made it a significant threat when it was in possession of Soviet missiles. However, both sides were aware of the possibilities and the consequences of these actions and I believe that is why they were both so reluctant to make the first move. How was the crisis interpreted/misinterpreted by each side? The battle over the spread of two different ideologies had brought these countries into conflict repeatedly and often in protection of themselves and their ideas they also threatened each other. The Cuban Missile Crisis could be seen as one huge misunderstanding. Soviet Official Anastas Mikoyan, in a meeting with Fidel Castro, said, “ The only purpose of shipping Soviet troops and strategic arms to Cuba was to strengthen your defences. Ours was a containment plan; a plan intended to discourage the imperialists from playing with fire in regards to Cuba”. This secret plan looked a lot more like a power play to the United States government. JFK was not sure if the Soviets were responding to the US placing missiles at bases in Turkey, if Khrushchev was developing a ploy, or trying to force the American’s hand in regards to the control of Berlin. Lack of information was key here and in an age where a missile can be fired from one end of the world and can destroy the other end within hours tensions can rise quickly because the decisions are that much more important. There are two interesting miscommunications that must be looked into. The first is that apparently the media developed a big story about the missiles in Turkey when Mikoyan says that the Soviets “had not been thinking about the bases in Turkey”. The second is JFK’s idea that Khrushchev was very interested in Berlin and this was all some attempt to have the US concede some interests in Berlin. In JFK’s talks with his advisers it becomes apparent that this is all like a big guessing game and the only information they had came from their past dealings with the Soviets. Since Berlin was a major interest of theirs in the past they assumed it might still be. It seems laughable now that the fate of the world rested in the hands of men who were playing a guessing game but these were the circumstances of the cold war.